Since its launch, the HTC One M8 has turned heads and put the mobile community on notice as to who the new Android sheriff is in town. The successor to last year’s best-reviewed smartphone continues to gain traction, earning universal praise from the press and garnering massive interest from the buying public. Two of the primary reasons: its drop-dead gorgeous design and Duo Camera system, which flaunts a suite of awesome editing effects and great hi-tech features. 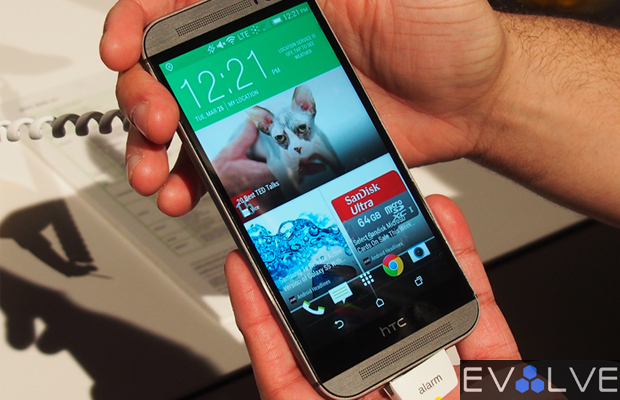 EvolveTV caught up with HTC during its official launch event in New York City and got a hands-on with the handset, as one of the HTC reps broke down the One M8’s beautiful form factor and dual-camera technology for us. See why you should seriously considering make it your next smartphone.